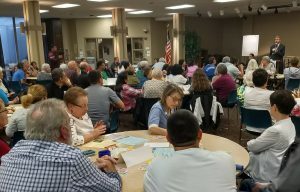 Over 150 people met at Countryside Community church to welcome the bus riders, learn about what Temporary Protected Status is, and personally meet TPS recipients from Omaha and the bus. 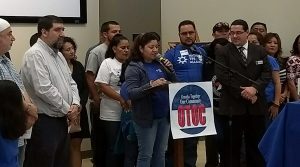 On Wednesday morning, one hundred people met for a workshop to learn about the economic contributions of TPS to our US economy, and why it doesn’t make sense to deport people. For a presentation about the economic contributions and cost of losing over 300,000 people in the workforce, click here and a full report click here. 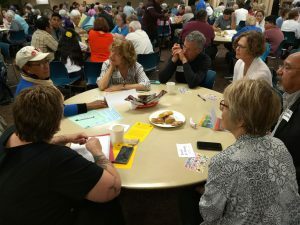 After visits to the offices of Rep. Don Bacon and Sen. Ben Sasse in the afternoon, local faith leaders and TPS holders led an interfaith prayer service for hope and action. 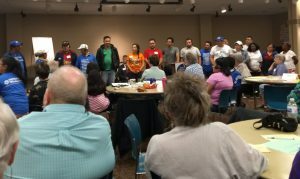 With themes about prophetic hope, protecting families and journeying for justice, over 125 people prayed together for hope and change. The bus riders introduce themselves to the crowd. 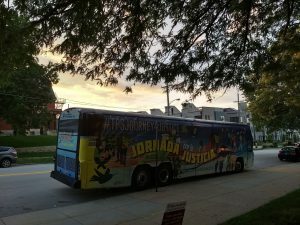 Small groups meet to talk with both bus riders and TPS holders that live in Omaha on Tuesday night. Local experts like immigration law professor and immigration attorney Dave Webber talks about what Temporary Protected Status is and what some legislatives solutions could be. 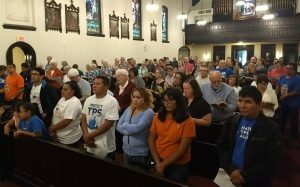 Crowd listens to immigration lawyer Gary Walters, UNO professor Dr. Cristián Doña-Reveco, and TPS holders from the TPS bus and Omaha. 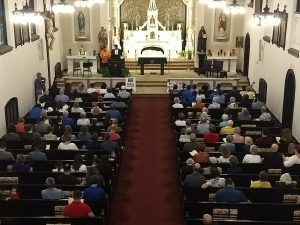 St. Frances Cabrini Catholic church hosted the service. 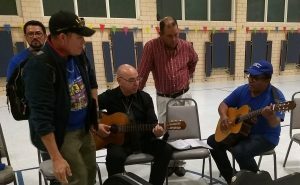 Bus rider Francisco and local pastor Juan Carlos sing a final song “Hello, Mama estoy Bien” before the bus heads out.